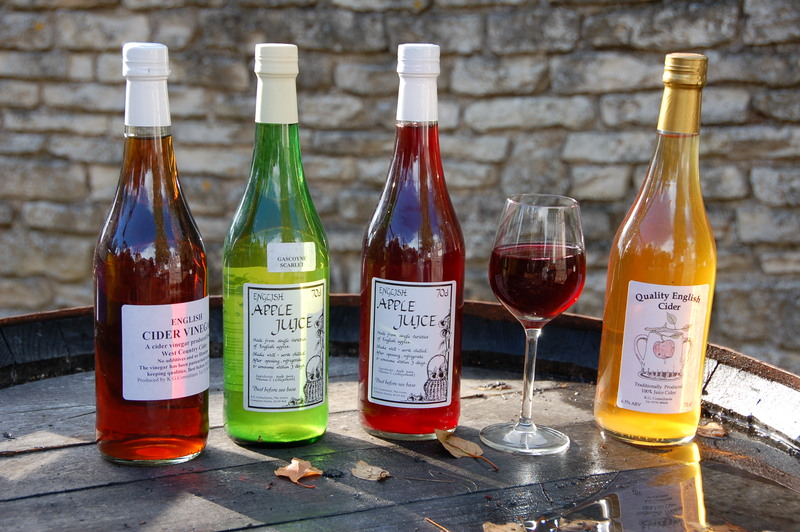 As well as quality apple juices we also provide a selection of ciders and perry. In this range are dry, medium dry and medium ciders. Where sweetening is necessary only sugar or apple juice are used, not artificial sweeteners. Also in our range is English Cider Vinegar. This is produced from 100% apple juice. The juice is fermented to cider and then acetic acid bacteria turn the cider to cider vinegar. The final vinegar is often called Apple Cider Vinegar.